We offer wide range of services for you. At Nobhill Dry-Cleaners we use a number of proven methods to clean and press your garments in a timely manner. Here are the brief descriptions of our services. In Nobhill Cleaners all drycleaning is done on premesis. All garments are prespotted and inspected prior to cleaning. Cleaned garments are pressed by hand , defined and packed carefully. Cleaners and brighter look of your shirt with well finished collar and cuff talks lot more about you. to keep your good impression on people . 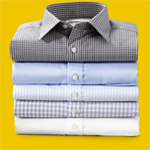 We offer laundry shirt service on hanger and box with one or two day turn around time. We also offer hand finished look service for shirts to give more finished look which can be done same day. 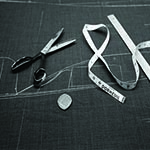 We offer alteration services such as as shortening or lengthening hems, replacing zippier, buttons and repairing seams. We offer shortening sleeves or altering sides on jackets as well as we work on evening and bridal gowns.Our expert tailor are always there to help. By cleaning your leather and suede garments, we restore their oils and keep them looking their best. 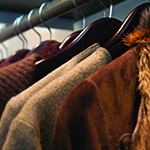 Knowing that your leather, suede, and fur garments are important investments, we do take extra time to clean these garments. We offer suede and UGG shoes cleaning to give a fresh look and new life. 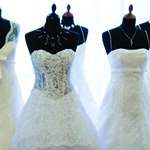 Wedding and christening gowns are professionally cleaned and preserved to restore your memories. 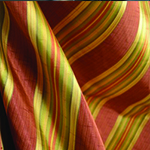 Draperies, comforters, bedding, and tablecloths are professionally cleaned to give them their best look. The higher heat and humidity of late summer and early fall months cause fur skins to gradually lose some of its natural oils. To prevent your garments from exhibiting stiffness,cracking of skin, and fur shedding, we recommend that you bring your valuable fur in our professional vault storage, which will add years to its useful life. You can drop your winter clothes in spring. We will clean it and store it in a box and you can collect it in the fall. The convenient service will give you extra room in your closet. For your convenience, you can drop your garments off in our 24 hour dropbox, at any time. The usual turn around time for this service is 3 days, but if you need sooner completion, please give us a call. Hurry up!! Limited offer on garment dry cleaning. grab your coupon from here and get discount at checkout. We are not responsible for articles not claimed over 30 days. Unclaimed garments will be handled in accordance with state regulations. We exercise utmost care in processing articles entrusted to us and use such processes which, in our opinion are best suited to the nature and condition of each individual article. Nevertheless , we cannot assume responsibility for inherent weaknesses of or defects in materials that are not readily apparent prior to satins, double-faced fabrics, vinyl's,polyurethanes, etc.. 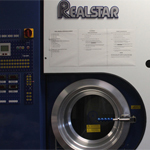 In laundering we cannot guarantee against colour loss and shrinkage, or against damage to weak and lender fabrics. Differences in count must be reported, and this ticket presented within 48 hours. Unless a list accompanied the bundle, our count must be accepted. the company's liability with respect to any lost or damaged article shall not exceed 10 times our charge for processing it. Responsibility also disclaimed for trimming, buckles, beads, zippers and sequines. Storage articles need to be picked by stated date on the receipt. After 30 days of pick up date articles will be handled as unclaimed articles or charged additional storage fees. Nobhill Cleaners is a family owned business serving the community since the 1950's and run by the Kapadia family since 1999. Our family has been working with clothes and garments for the last three generations.